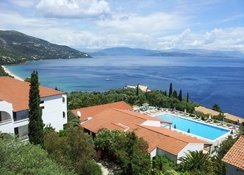 Hotel Nautilus Barbati is an all-inclusive, family friendly resort just 1.7km from the pretty shingle Barbati beach and 17km from Corfu Town. Built in the Mediterranean-style and nestled amidst lush gardens, the 3-storey hotel features an outdoor pool, easy access to the beach and a lovely poolside bar and welcomes guests to rest and relax with its host of modern amenities and warm hospitality. As many as 65 guestrooms all equipped with air conditioning, safes and private bathrooms with showers and attached private balconies from where gorgeous views of the sea and surroundings are offered for guests. The hotel has been welcoming guests since 1989. The lovely Barbati beach lies around the natural bay, surrounded by verdurous hills and lush green forests. Incredibly scenic, the beach invites tourists with warm crystalline waters and white pebbles. Though it was once awarded the Blue Flag, it is no longer so but still popular. Plenty of umbrellas, sunbeds and watersports facilities dot the beach. There are many good bars and restaurants serving the delicious Corfiot cuisine and refreshing drinks amidst gorgeous sea views. 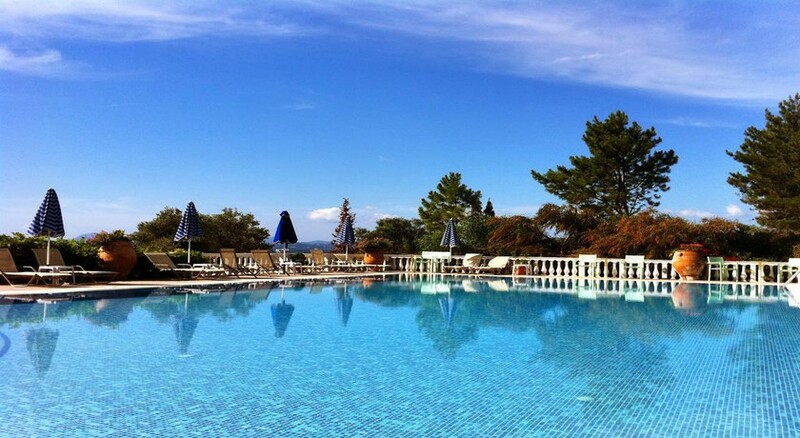 Hotel Nautilus Barbati is situated on the island’s rugged northeast coastline, between Corfu and Kassiopi. The nearest beach is just 750m from the hotel. It is 2.5km from the Ipsos beach and a 30 minute drive away from the Corfu International Airport. The village of Barbati is 1km away and Mount Pantokrator stand at 15 km from the hotel. All rooms at Hotel Nautilus Barbati have satellite TV, direct access phone, air conditioning, fridge, hair dryer and safe. Rooms have en-suite bathrooms with WC, wash basin, shower plus a private balcony with amazing views of the sparkling Mediterranean waters. All public areas have free Wi-Fi. Hotel Nautilus Barbati offers guests stay options with Half Board or All-Inclusive. While the Half Board includes Breakfast and Dinner, the latter includes breakfast, lunch and dinner. 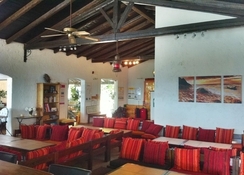 The hotel has a main restaurant that serves a sumptuous breakfast and meals. Expert chefs dish out delicious Greek cuisine from the freshest of ingredients. Guests can dine at the onsite poolside restaurant. There is also an Indoor bar on poolside where snacks and drinks can be had at all times. 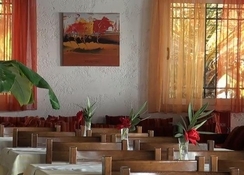 There are many good bars and restaurants in the town of Ipsos, 2.5km away. The hotel has a swimming pool besides easy access to the private beach. The hotel has facilities for Table tennis and Billiards. A free shuttle to the Barbati beach is available. The hotel offers Snorkelling, Canoeing (Additional charge) and Hiking (Additional charge) at the nearby beach just 750m away. Skiing, fishing and bicycle rentals can be arranged.